Lichens are mostly unaffected by low-severity fires. In severely burned areas, nearly all the lichen were gone, even 16 years after a fire. As increasingly hot and severe wildfires scorch the West, some lichen communities integral to conifer forests aren’t returning, even years after the flames have been extinguished, according to a study from scientists at the University of California, Davis. Lichen, an often overlooked organism that forms fuzzy, leaflike layers over tree bark and rocks, is an unsung hero in forest ecosystems. It provides food for deer, caribou and elk, and is sometimes the only food source for flying squirrels, which are key prey for threatened spotted owls. Birds and insects use it to eat and nest. An important contributor to the nutrient cycle, it also helps fix nitrogen in forest soils. 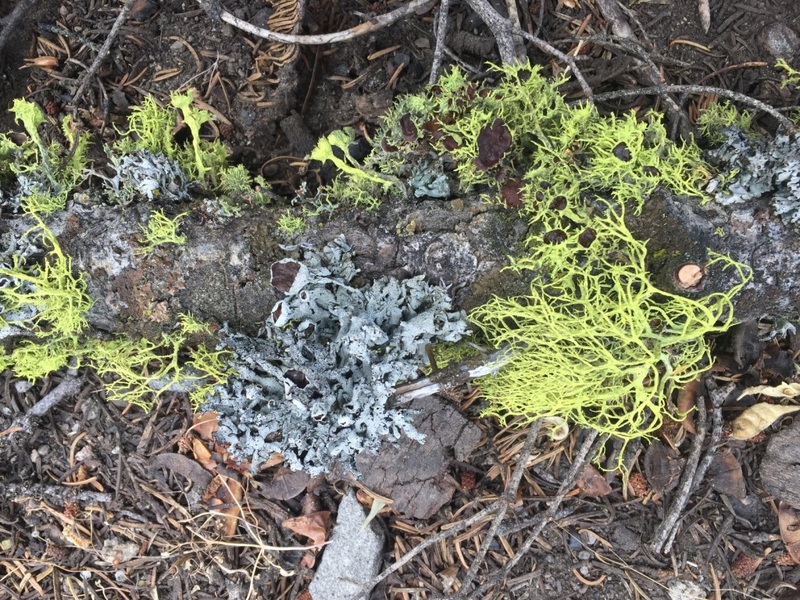 For the study, published Aug. 9 in the journal Global Change Biology, researchers sampled lichen communities in about 100 study plots across California’s Sierra Nevada region. Five wildfires had burned, at varying levels of severity, in and around the plots between four and 16 years before the study’s sampling. The results show that lichen communities were largely unaffected by low-severity fires. This suggests that prescribed fires and natural wildfires under moderate weather and fuels conditions are compatible with lichen diversity. But areas that experienced higher severity wildfires had significantly lower abundance and diversity of lichens. In severely burned areas where most of the trees died, nearly all the lichens were gone, even 16 years after the fire. The lichens’ recovery is likely held back by the loss of tree canopy after the fire, the researchers said. The hot, dry microclimate left in the forest post-fire is not conducive to lichen growth. 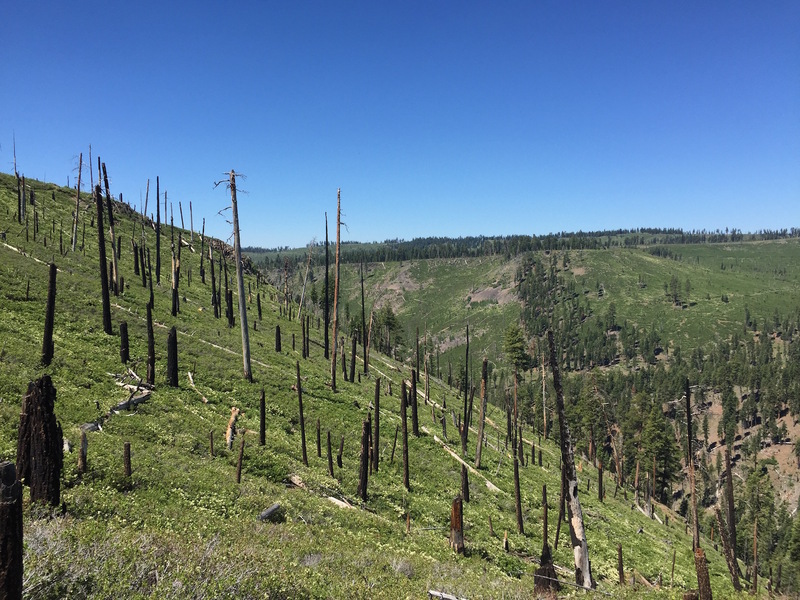 This indicates that lichen communities burned in Sierra Nevada forests likely won’t recolonize until mature trees regrow and the forest canopy is restored. This may exacerbate the effects of climate change that already threaten lichens. 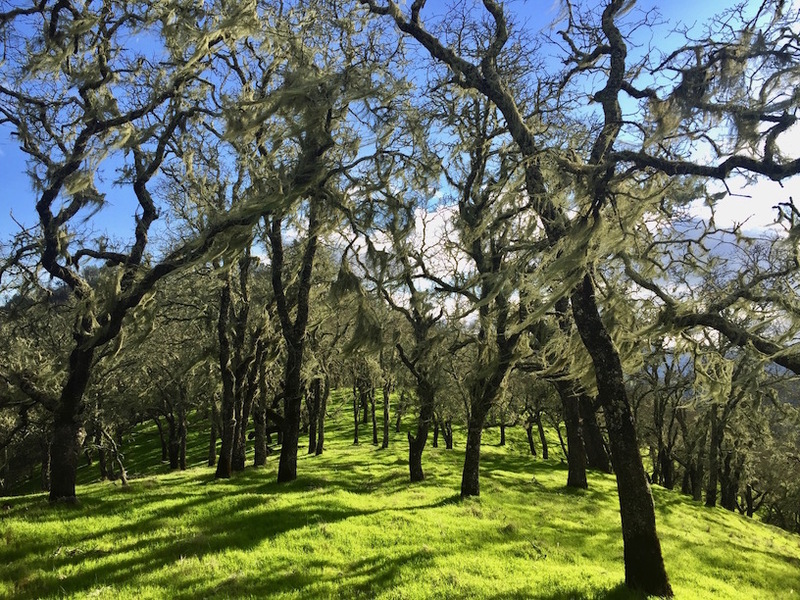 The study also indicates that the trend of increasingly dry forests and hotter, bigger and more severe wildfires could cause broad impacts to lichen diversity across the landscape, which could impact nutrient cycling and multiple food-chain interactions among wildlife. Warner Mountains, in northeastern California, in areas burned by the Blue Fire (2001). The study’s co-authors are Hugh Safford of UC Davis and the USDA Forest Service, Pacific Southwest Region; and Heather Root from Weber State University in Utah. The research was funded by the USDA Forest Service, Pacific Southwest Region. A link to the lichen research can be found here. Kat Kerlin, UC Davis News and Media Relations, 530-752-7704, kekerlin@ucdavis.edu, Kerlin will be out of the office Aug 9-13.